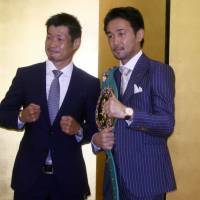 WBC bantamweight champion Shinsuke Yamanaka will take on Anselmo Moreno in a rematch, while former double champion Hozumi Hasegawa will attempt to recapture a world title against Hugo Ruiz in a WBC super bantamweight bout on September 16, at Edion Arena Osaka, the organizers announced on Wednesday. 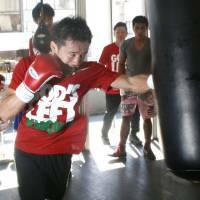 Yamanaka, 33, will look to defend his belt for the 11th time, but will face a tough challenge against the former WBA bantamweight champion, who arguably gave the Japanese star the toughest challenge of his title reign. Yamanaka edged the Panamanian in a split decision to retain his belt for the ninth straight time in Tokyo in last September. Yamanaka said he expected to fight overseas, which didn’t happen this time, but that his motivation was high for the return match against Moreno. Moreno, 31, captured the WBA bantamweight belt in 2008 and defended it 12 times. The southpaw is known as the Chemito — the Phantom — for his phenomenal defensive skills. Yamanaka said he had a hard time landing his blows on Moreno in their last fight. Yamanaka admitted that Moreno had been the toughest boxer he’s squared off against in his career “without a doubt,” but wants to prove he’s a better fighter in a clear-cut way this time. Yamanaka said he’s not a big fan of rematches in general, but doesn’t feel that way ahead of this one against Moreno. He predicts that the two champions will have an entirely different match come September. Everyone knows that Yamanaka’s got a heavy, jaw-breaking left, which is dubbed “God’s Left.” Yet he thinks that he’s also developed his right recently and that it will help land his left more effectively. 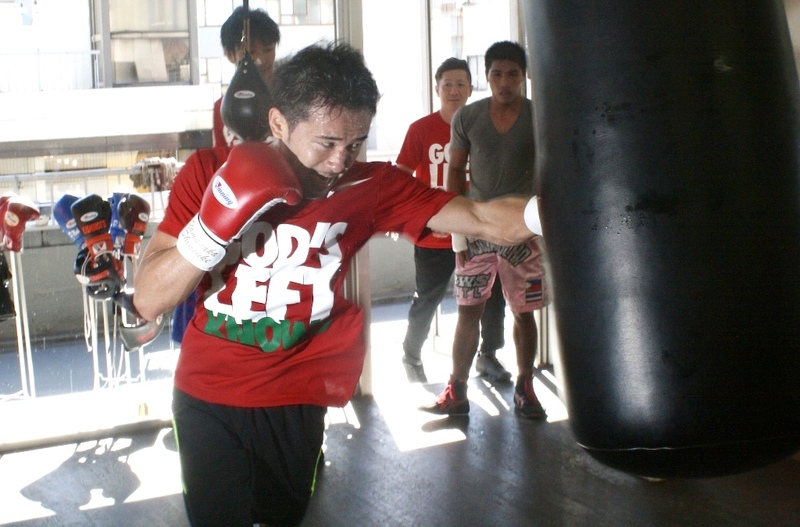 Yamanaka still anticipates a difficult, close contest against Moreno, who ranks No. 1 in the WBC bantam division with a 36-4-1 record. Yamanaka posted a win over Liborio Solis in March and improved his undefeated pro record to a 25-0 (two draws, 17 KOs). The 35-year-old failed to defend his bantamweight title against Fernando Montiel in April, 2010, after defending it 10 straight times. He lost to champion Kiko Martinez in an IBF super bantamweight title match in April, 2014. 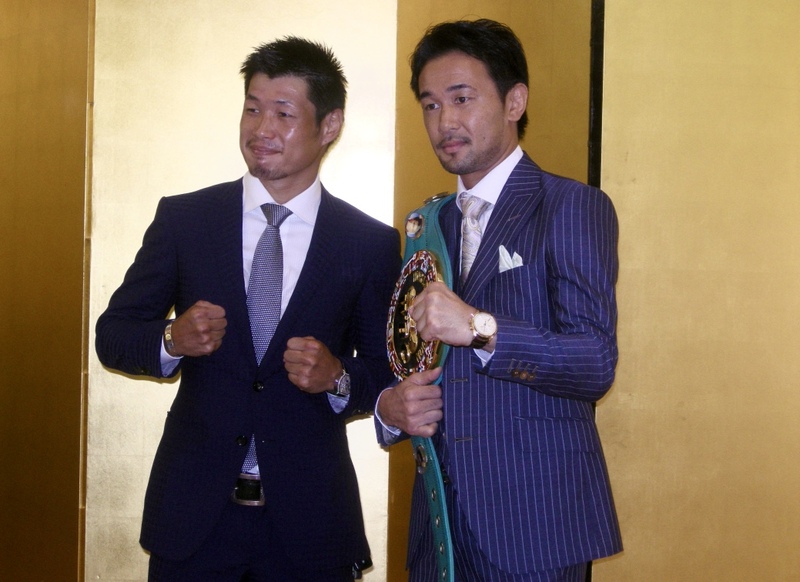 If Hasegawa takes the belt from Ruiz, who was a former WBC featherweight champion as well, he will be the fourth Japanese boxer to win world titles in three different divisions, joining Kazuto Ioka, Koki Kameda and Akira Yaegashi. Ruiz, a 29-year-old Mexican, has been 36-3 with 32 KO in his career. He earned the belt with a first-round technical knockout victory over Julio Ceja in February and this will be his first title defense fight.